Dolphin Blue strives to create a culture of sustainability, transparency, and accountability by supporting other ecologically and socially responsible associations with similar green core values. Through comprehensive partnerships, Dolphin Blue is able to reach new audiences and make a difference in the world. With this spirit, Dolphin Blue is proud to be affiliated with B Corporation, American Sustainable Business Council, the Green Chamber of Commerce, and other ecologically-minded organizations to conserve and celebrate the natural wonders of our planet. B Lab is a non-profit organization that certifies and supports B Corporations. 350.org is a grassroots global movement working to unite the world around solutions to the climate crisis—the solutions that science & justice demand. 350 is comprised of thousands of individuals and organizations that take it upon themselves to inspire communities into action. For more information, visit www.350.org. Carbonfund.org is the leading nonprofit carbon reduction and climate solutions organization, making it easy and affordable for individuals, businesses and organizations to reduce their climate impact by supporting third party validated renewable energy, energy efficiency and reforestation projects. Carbonfund.org has over 500,000 individual supporters and over 1,700 business and nonprofit partners including Dolphin Blue. Please visit www.carbonfund.org. The Green Power Partnership is a voluntary program that supports the organizational procurement of green power by offering expert advice, technical support, tools and resources. Partnering with EPA helps organizations lower the transaction costs of buying green power, reduce its carbon footprint, and communicate its leadership to key stakeholders. 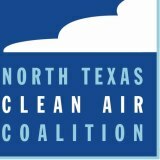 The North Texas Clean Air Coalition is the only nonprofit organization in the region dedicated solely to encouraging voluntary efforts to improve air quality in North Texas through educating, engaging and recognizing the business community. The Clean Air Coalition believes that business can both positively impact the environment and earn a profit. Originally founded in response to local air quality challenges, especially ozone pollution, the Clean Air Coalition has educated, engaged, or recognized the thousands of companies within the nine-county service area. The Green Chamber of Commerce is a 501(c)6 non-profit that was founded in 2007 in the San Francisco Bay Area. The Green Chamber is expanding nationally with a business network dedicated to promoting the success of its members, as well as the development of sustainable business practices and advoacy for green public policy. The Voluntary Renewable Energy Coalition (VREC) is a grassroots coalition of organizations that support the voluntary renewable energy market. VREC believes that any climate or energy legislation should preserve the ability of customers to achieve their environmental goals through voluntary purchases of renewable energy. Members of VREC agree to three basic principles: Volunary purchases play an important role in increasing the amount of renewable energy nationwide, reducing greenhouse gases (GHGs) are an important driver of consumer decisions to purchase renewable energy, and policymakers at all levels should protect and preserve the volunary renewable energy market and associated GHG reductions under legilsation or regulations. The Chlorine Free Products Association (CFPA) is an independent not-for-profit accreditation & standard setting organization, incorporated in the state of Illinois. The primary purpose of the association is to promote Total Chlorine Free policies, programs, and technologies throughout the world. CFPA's mission is to provide marketing awareness by providing facts, drawing direct comparisons, and highlighting process advantages for Totally Chlorine Free (TCF) and Processed Chlorine Free (PCF) products. The North Texas Chapter of the U.S. Green Building Council is a non-profit organization. USGBC's mission is simple: promote a sustainable, profitable and healthy built environment in the North Texas area through education, professional training and outreach.